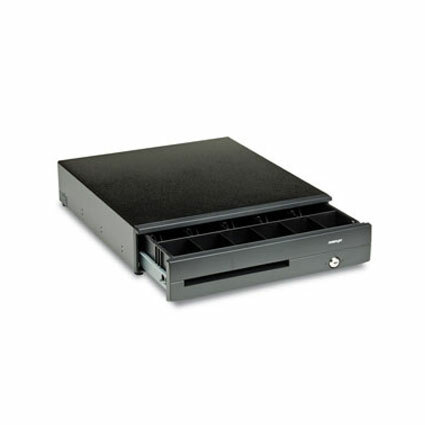 The Posiflex CR6300 cash drawer gives your business a sturdy and reliable way to store cash during working hours. A durable steel body and reinforced components make the CR6300 a great choice for busy retail environments, such as department stores, garden centers, and more. Posiflex built the CR6300 with a patented screwless design, minimizing vectors for tampering with the drawer. A 3-position lock provides additional security, ensuring manual opening can only happen with a key. For added durability and smoother operation, the CR6300 uses larger ball bearings and special guides to slide the drawer open. With an MTBF of 1 million operations and a 3-year warranty, the Posiflex CR6300 is a great long lasting option. Dimensions: 16.8" x 17.9" x 4.3"